Writing a book is one of the best ways to share your message, establish your expertise and attract a lot more pre-qualified clients. 3,000 years of history have made “The Book” the ultimate symbol of expertise, and its author the go-to person on the subject. That’s why I’m so excited for this training webinar. I’m interviewing legendary book publishing expert John Eggen about how to write a transformational book fast and use it to attract motivated, high-paying clients, even before it’s published. 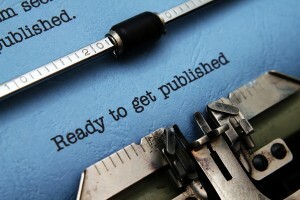 Have you thought about writing a transformational, client-attracting book? Want to discover how to get it done FAST and start leveraging “The Author Credibility Factor” to attract new clients right away? In addition to working with well-known authors, John has also helped nearly 1,000 coaches, business owners and independent professionals benefit from these same low-cost, high-leverage book publishing strategies. PLUS… John agreed to do live, interactive Q&A at the end so you can get your questions answered. If you’ve ever thought about writing a book to attract clients, and you want to get the insider secrets on how to do it as quickly, easily and profitably as possible, don’t miss this!